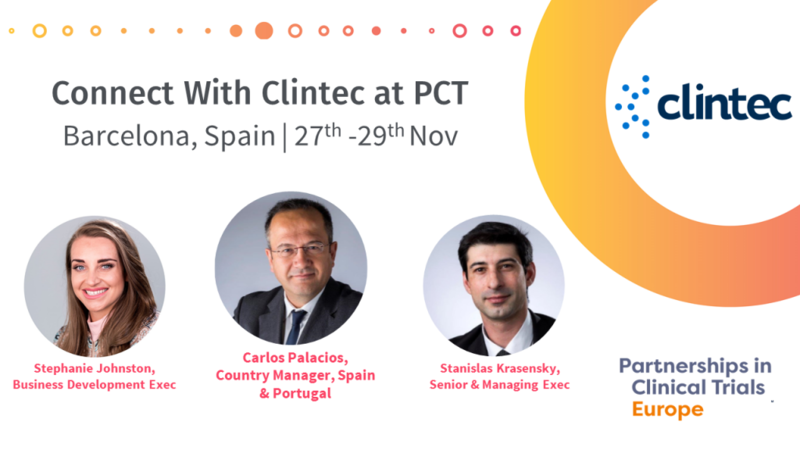 Clintec is thrilled to attend the Partnering in Clinical Trials (PCT) conference in Barcelona, Spain, on the 27th-29th November. Connect with our expert team and discover how Clintec’s full and functional service solutions can add real value to your clinical trial journey. Clintec hires the strongest talents and our resourcing expert, Stanislas Krasensky, is available to explore global, exciting career opportunities within Clintec. This year, Clintec has reserved a meeting space with partneringONE to allow you to connect with our expert team. Book a meeting with Clintec here: https://lifesciences.knect365.com/pct-europe/sponsors/clintec.